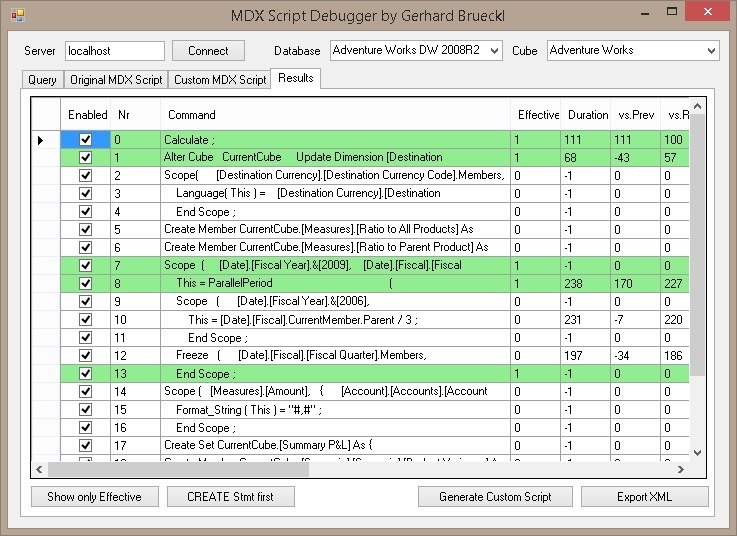 This entry was posted in Analysis Services, MDX, Multidimensional and tagged debug, MDX Script, performance, SCOPE, tool by Gerhard Brueckl. Bookmark the permalink. Nice tool, but can’t you already locate the bad performing MDX by using ms profiler? SQL Server Profiler does not help you to track down Formula Engine (FE) bound performance issues. it can just tell you whether your bottleneck is FE or SE (Storage Engine) in general.